Okay, something magical happened today. It was sunny in Port Alberni and it was 12 degrees Celsius. Seriously amazing. 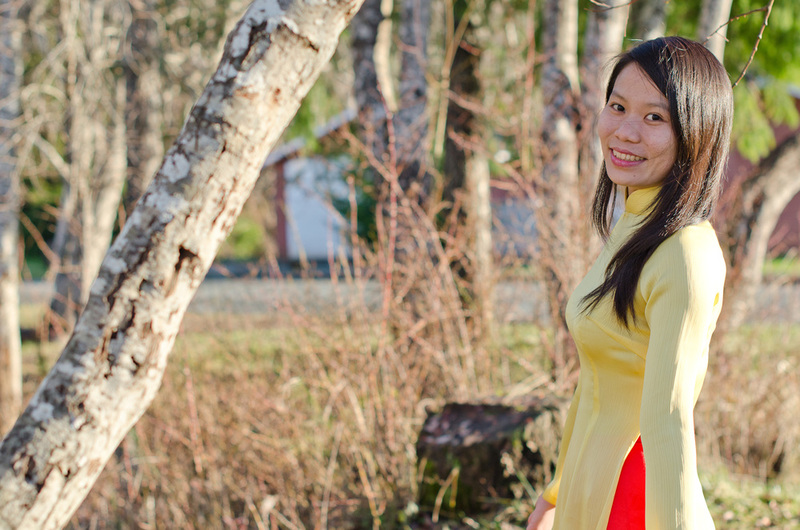 Y, my lovely counterpart, immediately made the excellent suggestion to finally take some pictures of her in her ao dai in the nice weather. 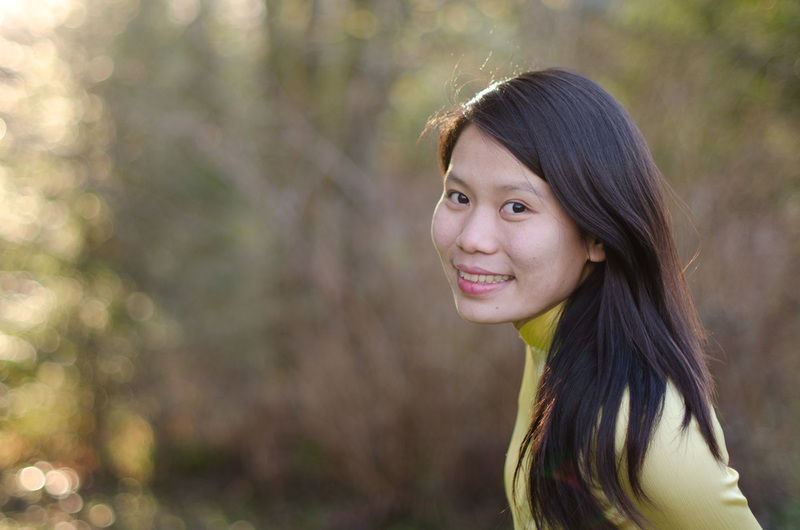 This portrait shoot also timed itself well with the Lunar New Year (Tet), which all of us Canadians will be celebrating with the Vietnamese half of the group on Saturday morning. It was so perfect to be able to take these pictures right before the big holiday.